Since 2002, the Society of Professional Journalists has awarded $10,000 to a person, group or organization that works to preserve one or more of the rights guaranteed by the First Amendment. If you, a person or an organization you know fiercely protects these rights, submit a nomination for the 2014 Eugene S. Pulliam First Amendment Award by June 22. The Sigma Delta Chi Foundation (SPJ’s supporting foundation) dedicates this honor to anyone who upholds this pillar of democracy, not just journalists. Visit SPJ’s website to learn more, see a list of past honorees and submit the nomination materials. Awards Coordinator Chad Hosier, awards@spj.org, can answer any questions you may have. Submit a Pulliam First Amendment Award nomination today. The Native American Journalists Association will hold the 2014 National Native Media Conference held in Santa Clara, Calif. Join more than 300 Native journalists, media professionals and tribal community representatives from across the country at the 30th annual event commemorating three decades of enhancing Native journalism July 10-13, 2014 at the Hyatt Regency Santa Clara. Members of the Native American Journalists Association save $50 on conference registration – become a member to take advantage of the discount. The National Association of Hispanic Journalists will hold its Annual Multimedia Convention & Career Expo August 7-9, 2014 at the Henry B. Gonzalez Convention Center in San Antonio, Texas. The National Association of Hispanic Journalists (NAHJ) is dedicated to the recognition and professional advancement of Hispanics in the news industry. NAHJ has approximately 1,500 members, including working journalists, journalism students, other media-related professionals and journalism educators. For the past 7 years, data enthusiasts from all over the globe have come together for the Tableau Conference. They’ve discovered how to leverage their investment in data analytics, hear what’s next in business intelligence, and network with other like-minded individuals. This year you can expect the same. The conference will host more than 240 sessions, 10 super sessions, 4 engaging keynote speakers in Seattle, Washington from September 8 to 12. While most college and university journalism programs are drilling the tools and concepts of digital storytelling into the heads of college-aged students, Savannah State University has decided to go for an even younger demographic. 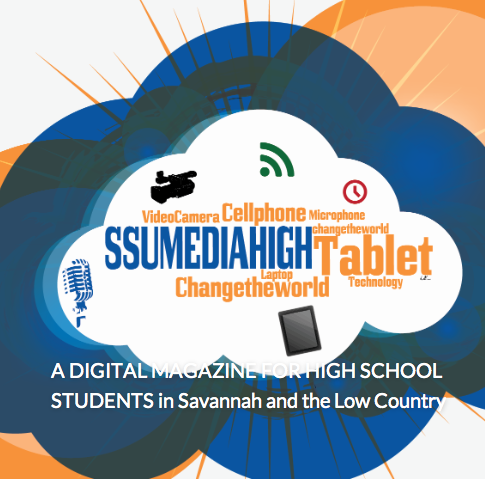 Approximately 20 students will immerse themselves in the campus life of Savannah State University while learning journalism at SSU Media High, a digital magazine and high school journalism camp. The camp, which begins on June 15, will allow students aged 13-17 to spend two weeks producing news and features for a general interest, digital magazine, said Wanda Lloyd, chair of the school’s journalism department and former executive editor of The Montgomery Advertiser. 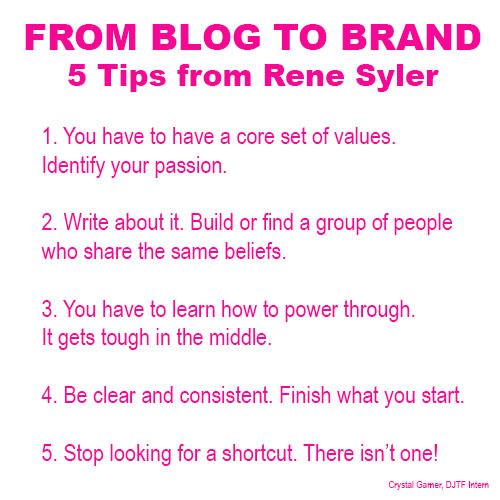 Lloyd, who became chair of Savannah State University’s School of Journalism last summer, said she got the idea about Media High after noticing high school students on campus for several different summer programs and camps, none of which involved journalism. With a history of working with Howard University’s high school journalism camp, Lloyd understands that camps like this can provide journalism skills to students while helping colleges attract the best and brightest. Benet Wilson, NABJ’s Digital Journalism Task Force Vice Chair of Education, says journalism education should start early. She applauds Savannah State University for training the next generation of journalists. Media High will launch this summer under the direction of camp program director Tina A. Brown. Brown, a professional journalist with 30 years experience, said she hopes to attract curious learners interested in acquiring newsroom skills quickly. Candidates will be required to write an essay about themselves and why they would benefit from the program, Brown said. Those selected will produce news on multiple platforms, including video and audio, she added. “Everything will be done online,” Brown said. “Students will cover events on campus and in the community.” Staff and students at the university will serve as mentors in the program, she said, and field trips to local media outlets and to city council meetings are included in the schedule. The total cost to operate Media High is about $25,000, with the lion’s share of the money coming from public funding: a $14, 000 federal grant; $4,000 from the Dow Jones News Fund; and $2,000 from student participants themselves. Organizers say students will need assistance covering their share of the costs. While existing funds will pay for the operation of the program, Media High needs money to cover students’ expenses, including meals and housing. Stipulations for current funding precludes program managers from using any of the $16,000 to purchase meals, which Brown estimates will cost $22 a day per student, she said. 3219 College Street, Savannah, Ga. 31404. In the ever-changing age of digital media, data visualization is king. Vitaly Friedman, editor-in-chief of Smashing Magazine, an online outlet providing innovative information to Web designers and developers, describes it as a way “to communicate information clearly and effectively through graphical means.” Simply put, it turns information into something visually appealing. While one of the most sought after skill sets in newsrooms across the globe is spiking in use by news organizations, marketing firms and internet companies, the number of journalists of color who are capable of producing data visualizations is flatlining. Why is it that journalists of color are not flocking to this type of storytelling? If it’s because many don’t understand what it is, the NABJ Digital Journalism Task Force is aiming to change that. On April 29, 2014 from 11a.m. to noon, NABJ Digital hosts a Twitter chat with Faye Anderson of Tracking Change, an advocacy platform to turn data into action; Zach Seward of Quartz, a digital news outlet for business people; and Samantha Sunne of Hacks and Hackers, a grassroots journalism organization. The panelists will answer your questions about diving into data visualization. The task force decided to put this Twitter chat together as part of its mission to ensure that NABJ’s members have all the skills they need to be the best digital journalists they can be, said Tracie Powell, DJTF co-chair. Since big data is changing the way journalists tell stories, making sure they have the tools and the know-how to use them is important, she said. To follow the Data Visualization Twitter Chat, use hashtag #nabjdata.